Love camping but looking to take it up a notch? Or perhaps you can’t stand the idea of roughing it and prefer something a little more glamorous? 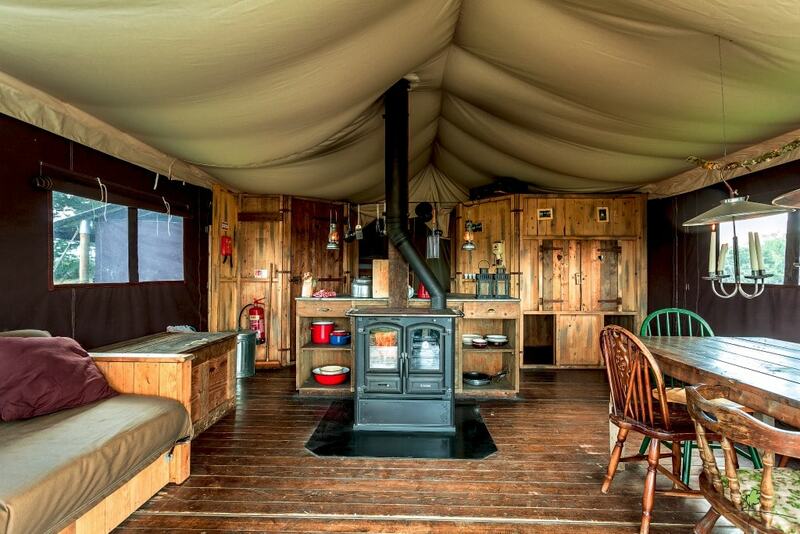 Glamping has really upped its game in the past couple of the years, and thanks to websites such as Canopy & Stars there are now a variety of exciting glamping sites all around England. Here are a few of our favourites. With almost 30 sites situated across England (and many more across Europe), Feather Down is one of the most popular glamping sites in the country. Their sites are based on working farms with a choice of either log cabins or canvas lodges for accommodation. There’s no electricity or wi-fi, but wood-burning stoves and candlelight help to create a romantic atmosphere in the evenings. The beds are large and comfy, the bathrooms are much less scary than similar sites and some of the locations even boast hot tubs for added luxury. The Lookout Lodge at Whipsnade Zoo is the closest you can come to going on safari in England. The experience begins when you check in at 4.30pm and are given a glass of champagne as you are shown to your own private wooden cabin. During your stay it’s possible to enjoy three exclusive tours of the zoo (one by torchlight!) and all meals are included. The lodges themselves are pretty basic with separate bathroom facilities, but if you’re looking for a completely unique experience, there’s nowhere else in the country where you’ll be woken up by the roar of lions! 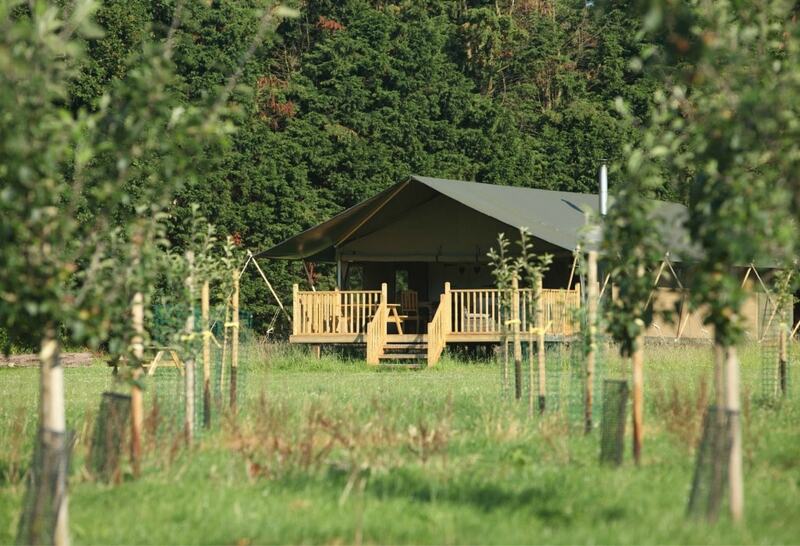 Based in Norfolk’s picturesque countryside, Wild Luxury’s two glamping sites are ideal for large groups looking to get outdoors without roughing it. There are two camps to choose from, both situated close to the beach and surrounded by open countryside. Within each camp there are several luxury safari-style canvas lodges that sleep up to ten people. The living and dining areas open onto covered patios for warmer days and there are wood burning stoves inside for chillier nights. Perfect for those who hate sleeping bags and air beds, all the accommodation here offers real beds and mattresses with warm duvets and comfy pillows. You might have seen glamping domes before, but we guarantee you’ve seen nothing like the futuristic accommodation at the Dome Garden. Located just outside Bristol in the Forest of Dean, there are seven different styles of dome available, sleeping up to eight people. All domes are en-suite with wood-fired showers, flushing toilets, comfortable beds and wood burning stoves, but it’s their more unusual features that make them even more appealing. Some of the domes feature hanging hammock-style beds and even a fully suspended double bed with unspoiled views of the night sky! 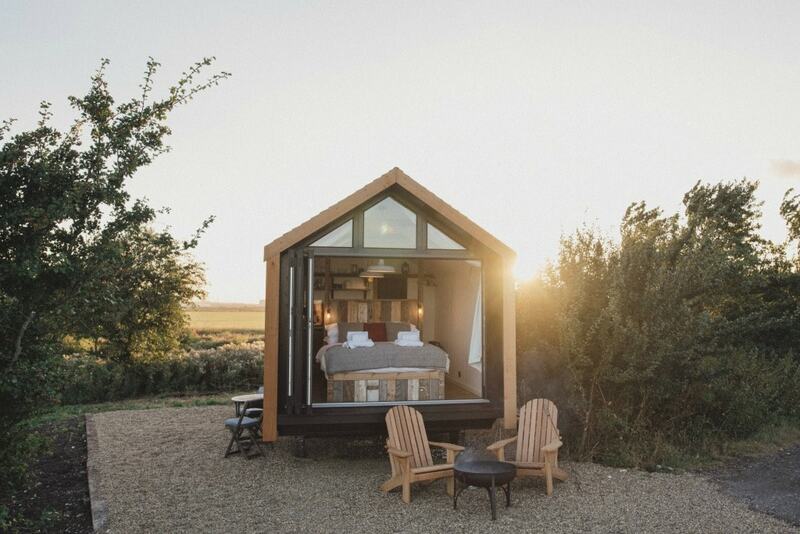 You’ll find three beautifully crafted shepherds huts and two wooden cabins on the Isle of Sheppey, located on a National Nature Reserve just an hour’s drive from London. All the huts feature wood burning stoves and comfortable beds, boasting spectacular views of the surrounding nature reserve through their large windows. Our favourite has to be the Saltbox with its king-size bed perfectly positioned to gaze out of the huge window and a hammock above suitable for a small child. The accommodation is all fully sustainable and treatments such as massages are available if requested. Located in the heart of the Swinton estate in Yorkshire, a collection of meadow yurts and tree lodges provide luxurious glamping conditions. The yurts are located in a field with breathtaking views of the surrounding countryside. Although they have no electricity, the yurts that sleep up to five people all come with wood burning stoves and real beds. There’s also a wood-fired hot tub available for hire. If you’re looking for a memorable experience, however, we recommend staying in one of the tree lodges situated in the woods. These rustic cabins feature three-tier innovative bunk beds providing accommodation for families of all sizes and, although they too have no electricity, the wood burning stoves will keep you nice and toasty.